Kick off the month of May with GrabWander’s 5 recommended attractions in Krabi. Make this (sweaty) summer one to remember by visiting this popular tourist province where you will find clean beaches, crystal clear ocean, lush mountains and countless islands to snorkel on. Don’t let the worry of transportation deter you from checking out every corner of an unfamiliar destination. Grab will take you wherever you want to go, and we do it professionally, safely, and economically! This limited-redemption offer is valid until 31 May 2018. Book now! 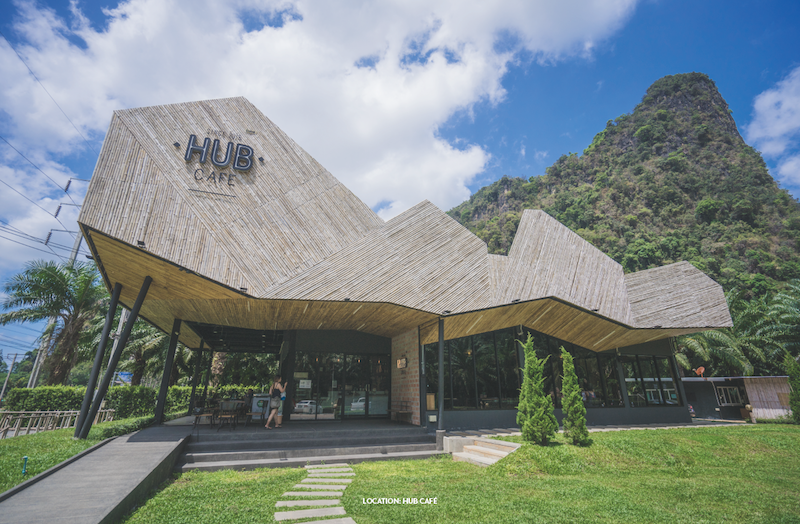 Relish in full-on Krabi’s signature tropical surroundings at HUB Café, the latest addition to the city’s chic scene enveloped by the mountains and palm trees. Designed to stand out yet still one with its neighboring nature, the café will sooth visitors with its earth-toned furnishing and huge glass panel overlooking the green background. Aside from the unforgettable sight, the foods here will also charm you to come back; with selections like homemade Charcoal Pizzas, BBQ Ribs, Hawaiian Fried Rice, Salmon & Mango Salad, as well as cakes and authentic Arabica coffee. A beautiful Wat by any standards, Tiger Cave Temple comes with its own age-old stories and legends. Situated right on top of a mountain, the 1,237-steps stairway is definitely a conquest that will reward you with panoramic view stretching from the city to the ocean. On a good day, you might be able to see stunning sea fogs like those in the Northern provinces. 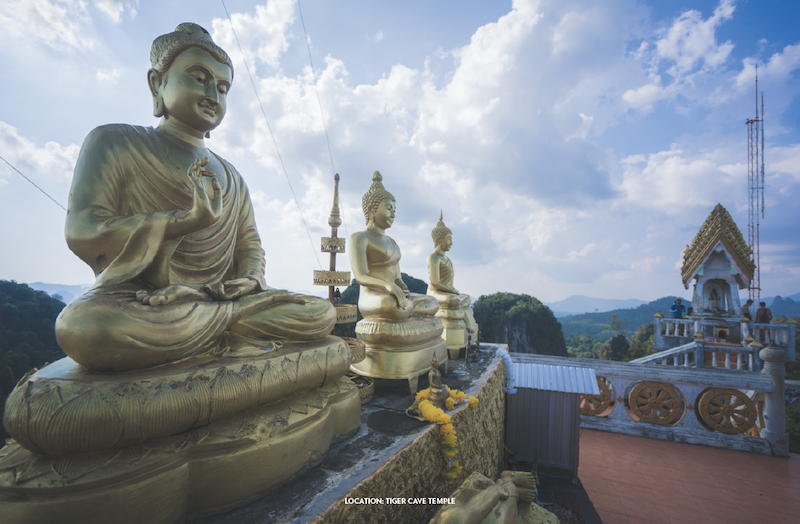 Tiger Cave Temple also houses relics, revered statues, and a landscape which consists of many caves and nooks to make this temple a perfect meditation spot. 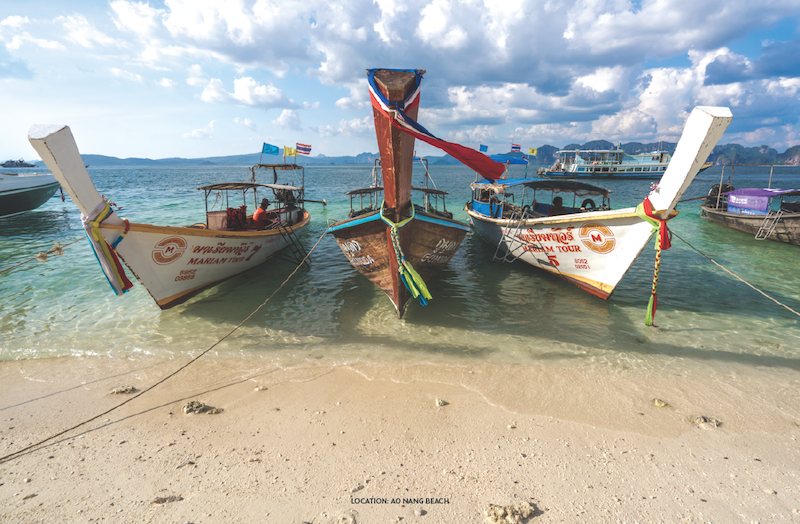 A Krabi trip wouldn’t be complete without a visit to the famed Ao Nang Beach. Get your bikini ready for a nice sunbathing session on the white sandy beach overlooking as many as 83 small islands. You can just hop on a speedboat to snorkel, or simply lounge and wait to witness one of the most beautiful sunset views of Thailand. Beyond the beach itself, there are many other tourist spots within strolling distance: the sacred Phra Nang Cave, the gorgeous Poda Island, as well as a ton of good places to eat. After a long day of fun-filled excursions, why not reward yourself with some yummy goodies at Koi Kula Kasai Restaurant? Here you can feast on authentic Southern dishes notable for their spiciness and fresh ingredients. Order these all-time favorites and you won’t be disappointed: Fried Mullet, Sea Bass Southern Sour Soup, Fried Shrimp with Bitter Beans and Shrimp Paste, and Krabi’s very own Dog Conches. Just a short drive from the airport, breathe in the tropical looks and feels of this place. 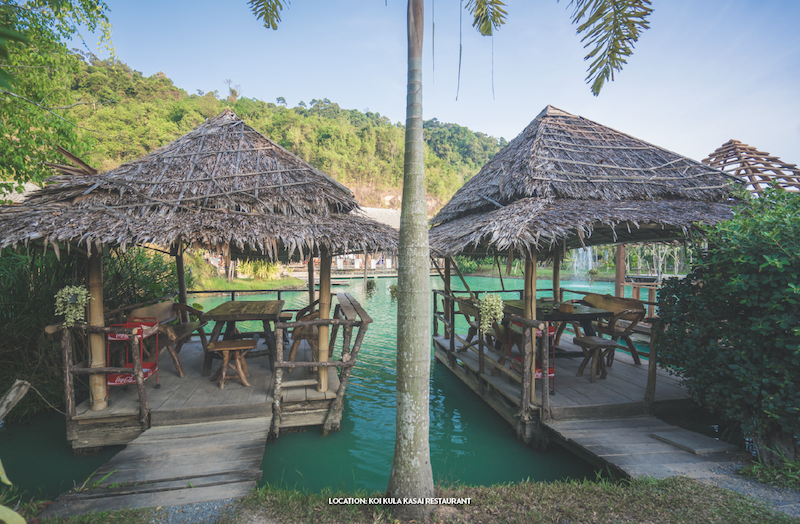 The thatched roof Salas which sit on the emerald lake ooze privacy to guarantee an unforgettable meal with your peeps. 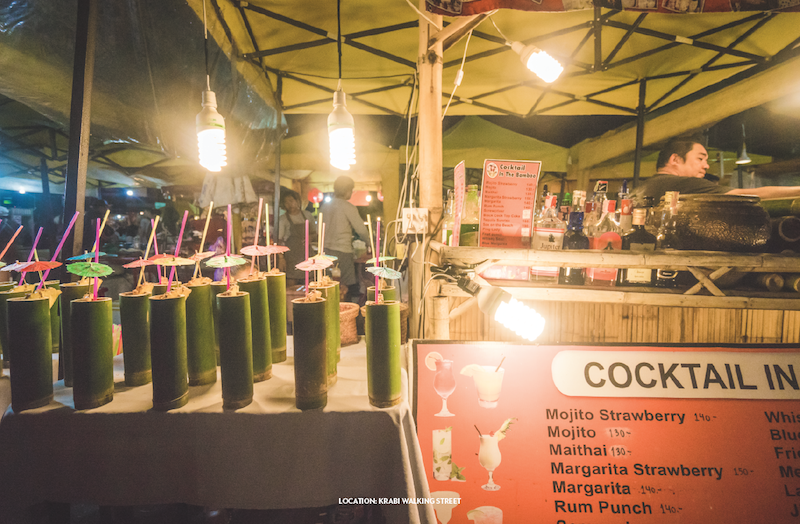 Immortalize your impressive Krabi trip with some souvenirs at Krabi Night Market. Located right in the middle of the city, this busy market offers a range of products: paintings, handicrafts, knickknacks, and clothes; all at very reasonable prices. Come with an empty stomach! This place boasts a number of food stalls selling local bites and snacks. Be sure to sit down for a hearty dinner while enjoying shows on the stage complemented by the night breeze and old but charming townscape.